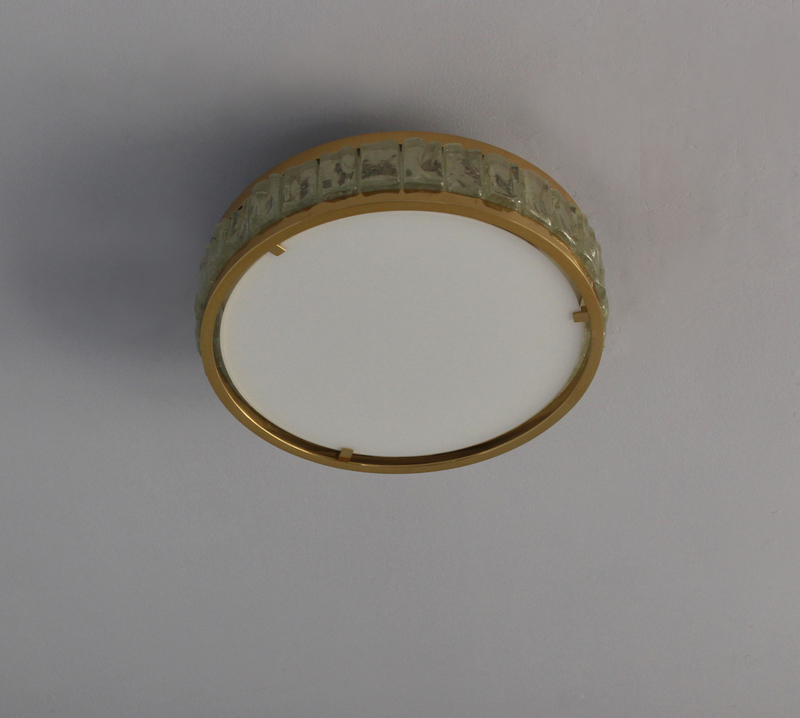 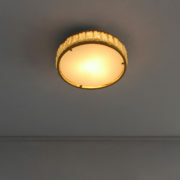 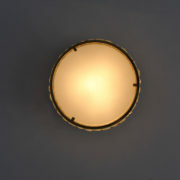 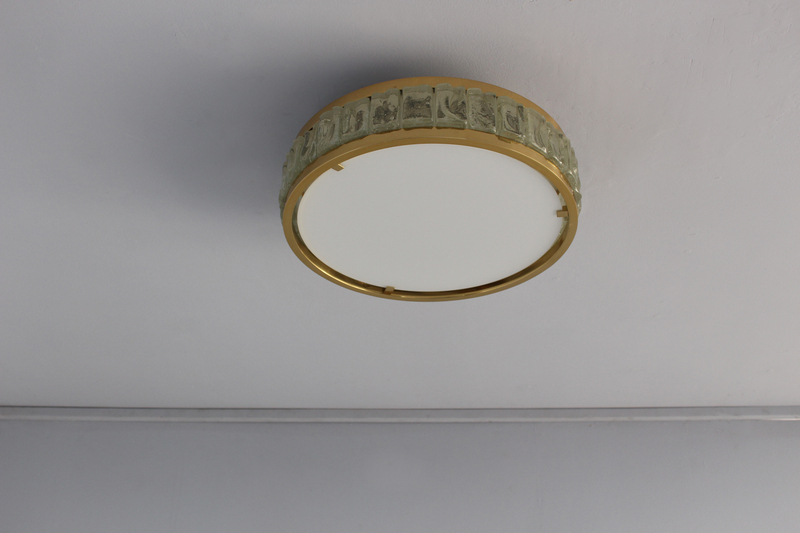 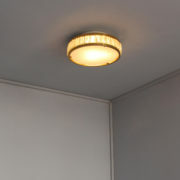 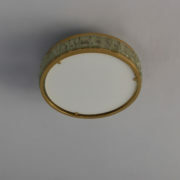 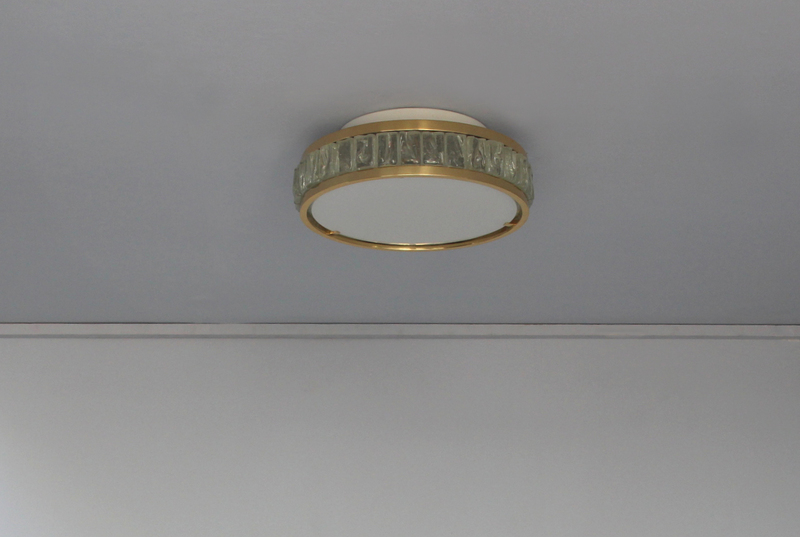 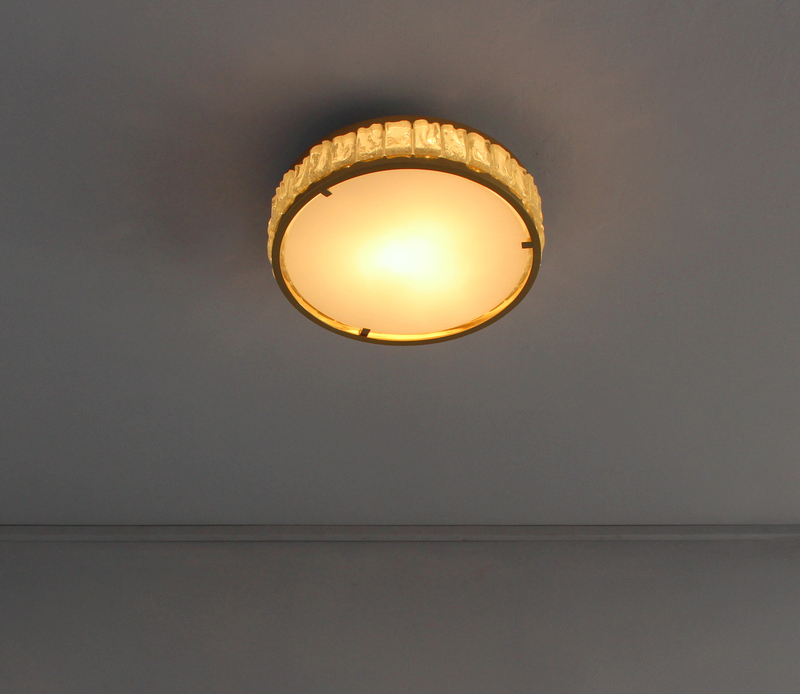 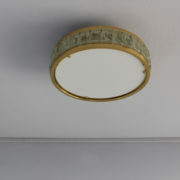 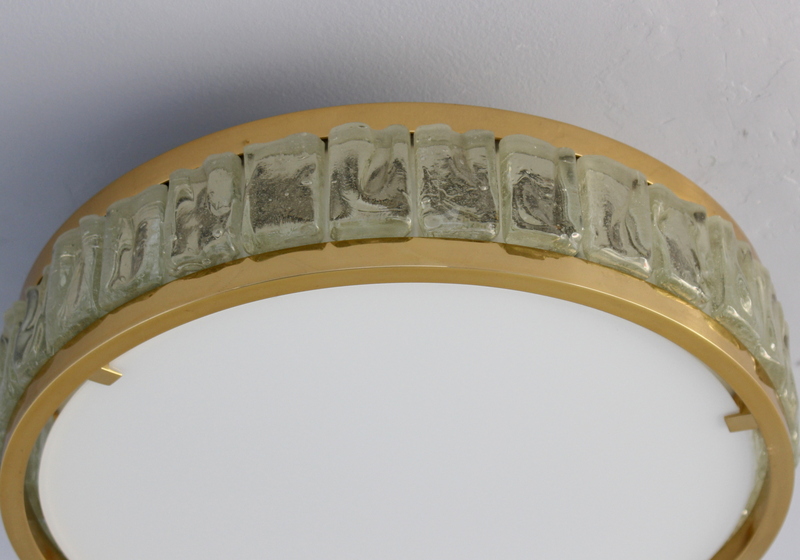 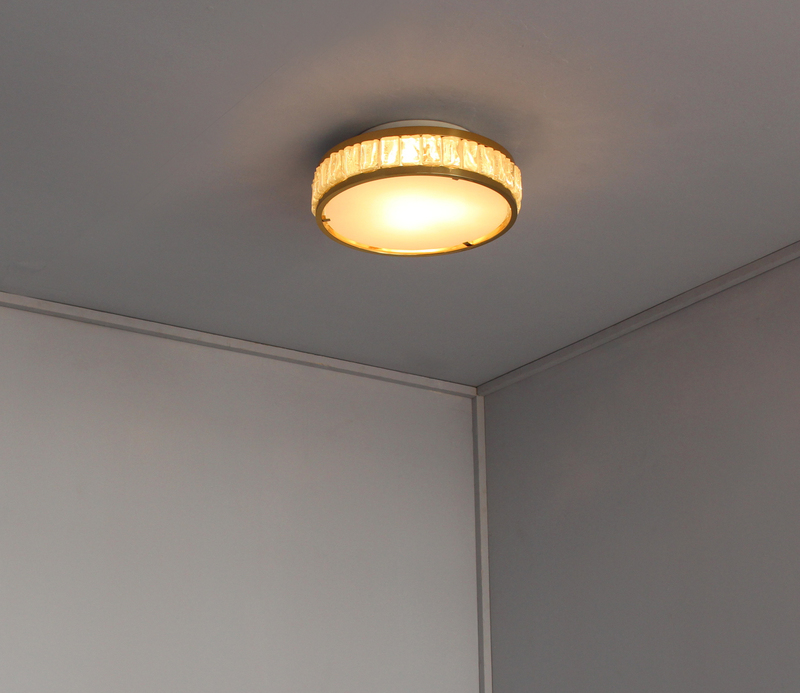 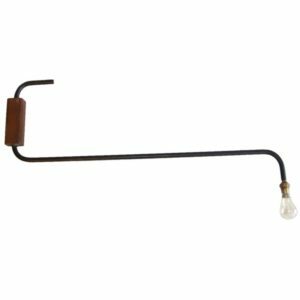 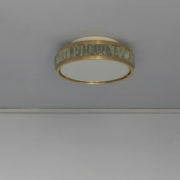 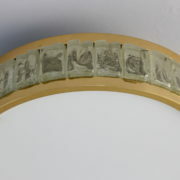 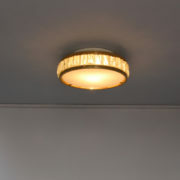 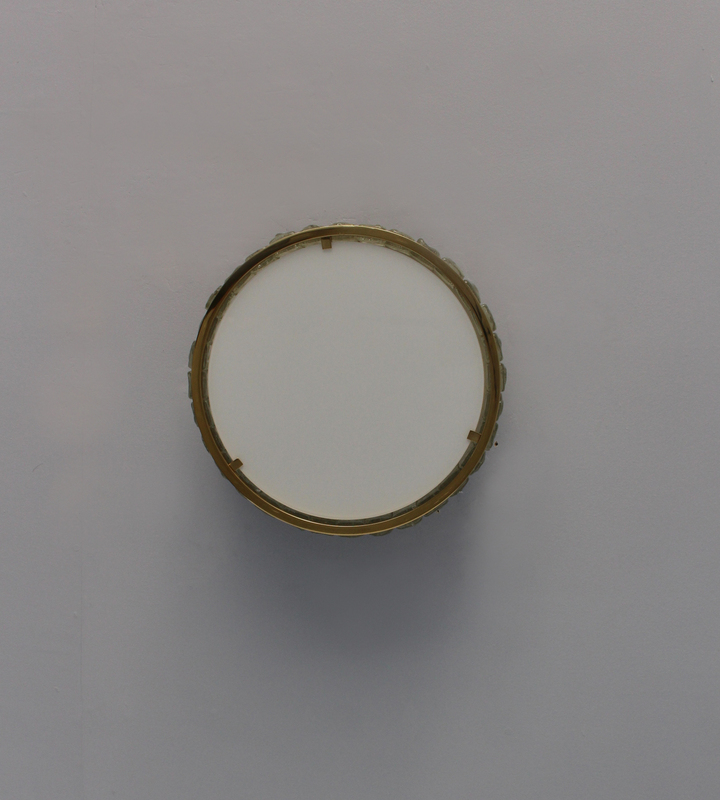 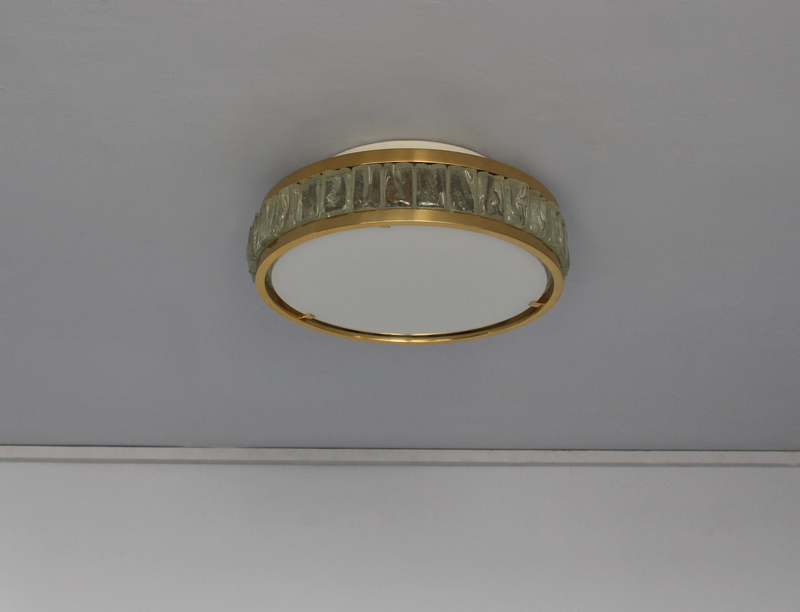 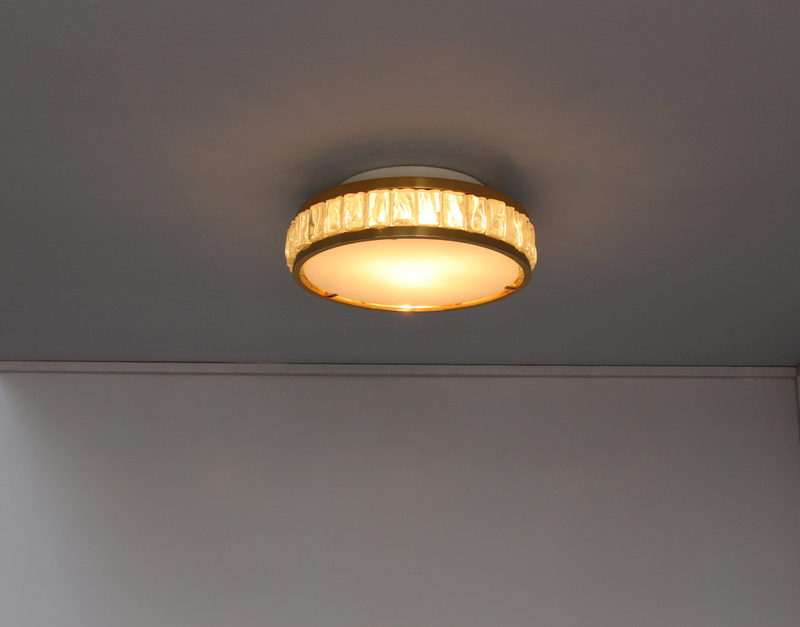 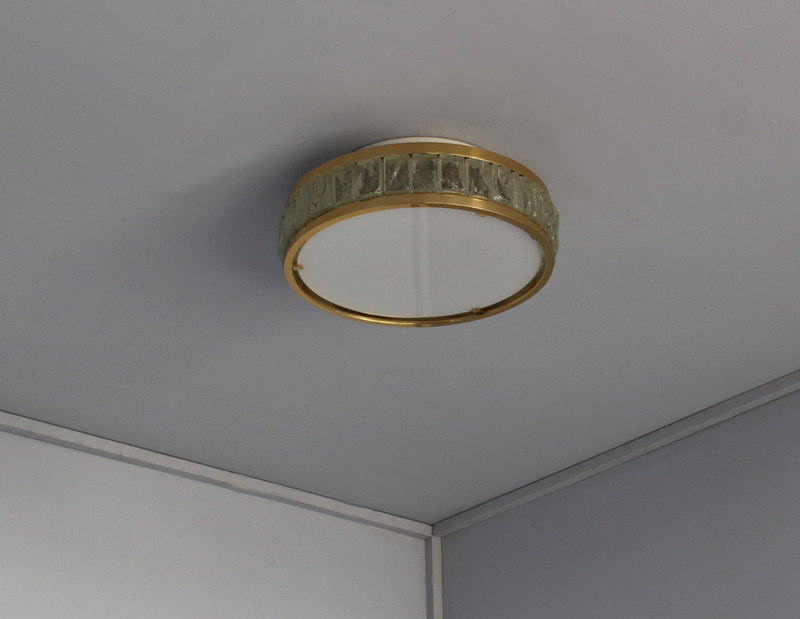 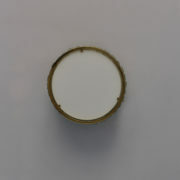 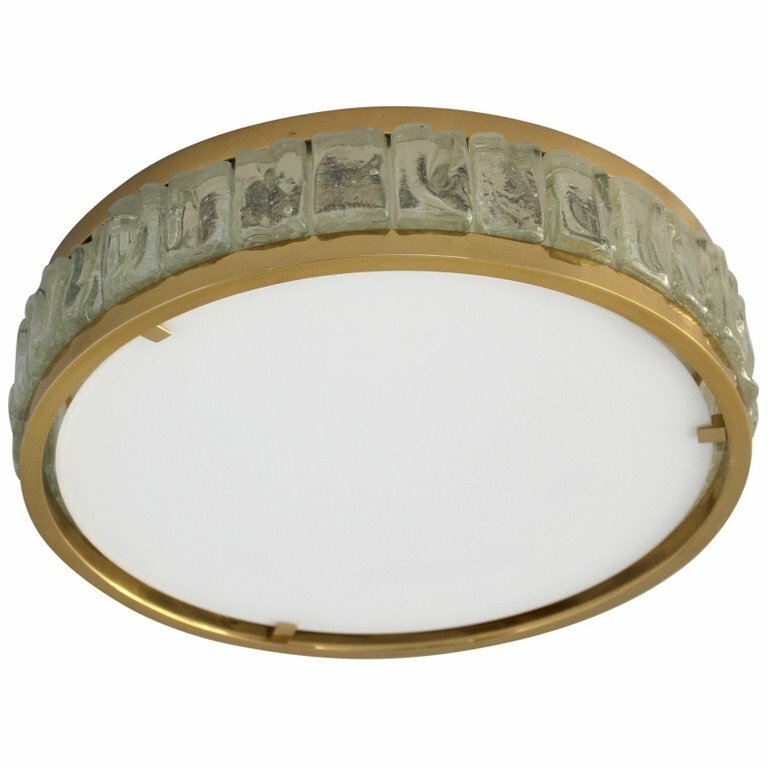 A Fine French 1970s round « Queens Necklace » flush mount or ceiling light by Jean Perzel, made with rough laid glass slabs set between two – newly re-polished – bronze frames and a white opaline glass diffuser. 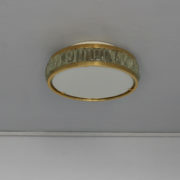 Very good original condition, bronze parts re-polished (shiny). 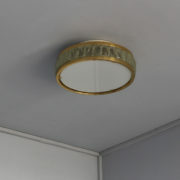 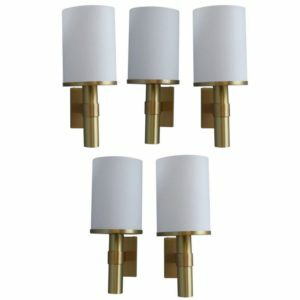 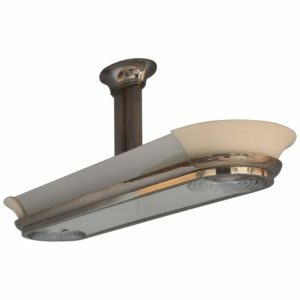 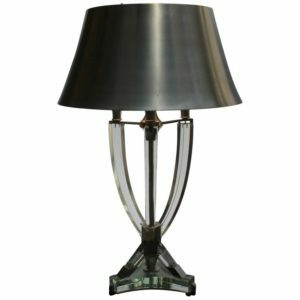 Soyez le premier à laisser votre avis sur “Fine French 1970s Glass and Bronze « Queens Necklace » Flush Mount by Perzel” Annuler la réponse.